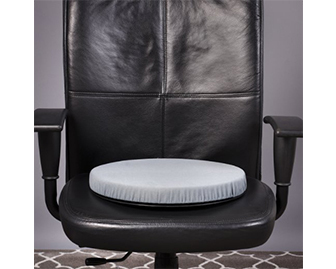 A cushion that can be placed in a car seat or chair that allows a person to easily turn their body from a seated position. Excellent for those that have difficulty weight shifting to adjust their position. Commonly used by patients of hip surgery. 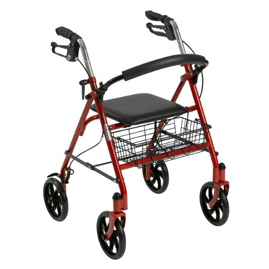 A metal frame with four wheels that helps a person with decreased balance and increases their walking tolerance. 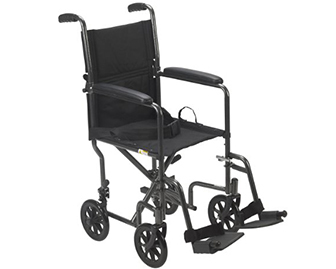 Has lockable brakes to prevent the walker from running away and a seat to allow the user to rest as needed. An electric powered vehicle that a person commonly uses for community access (ie. purchasing groceries, attending local doctor’s appointments, etc) or moving within their own home if spaces are large and doorways are wide. A grab bar that latches onto the inside of the car door frame and pushed off of to help people get in and out of their car. It is portable so it can be carried in a purse from one car to another or left in the glove box. 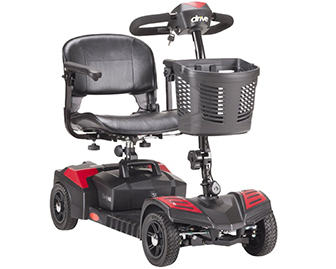 A basic wheelchair meant to help a caregiver move a user a short distance within the community such as from the car to the doctor’s office. Lightweight and can be folded and placed into a car truck easily.